Want an instant online quote for our logbook loans? Just enter your vehicle registration and mileage... it’s easy! Applying for logbook loans online is really simple – fill in your vehicle registration and mileage, get a quote, upload your documents and sign... and you get to keep your car too! 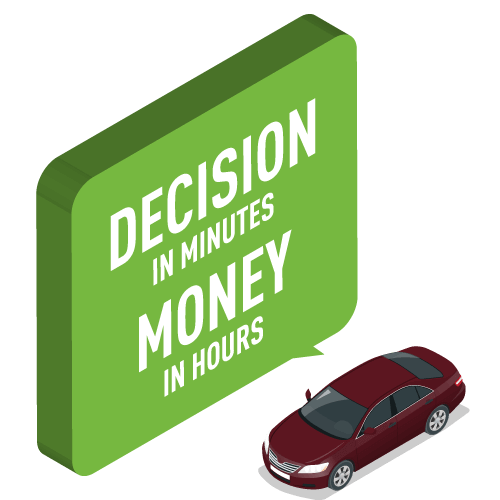 For competitive logbook loans with online decisions and super-fast payouts, you can start your instant application here – it takes just 5 minutes to complete our form! You can apply for our easy logbook loans online, 24/7 – giving you instant access to our fast application process, and low rate loans on your car, van or motorbike. You can finalise your logbook loan in-store if you’re near one of our branches, or arrange for one of our 600+ agents to visit you – with payments transferred in just a few hours†. To ensure a logbook loan, and repayments, are suitable for you, our team carry out fair and accurate affordability assessments prior to approving your loan. With our logbook loans, bad credit doesn’t have to be a barrier – we base our decisions on your current, individual circumstances. We believe that our logbook loans should be easy for anyone who wishes to unlock the value of their car, van or motorbike – while still getting to drive around in it! 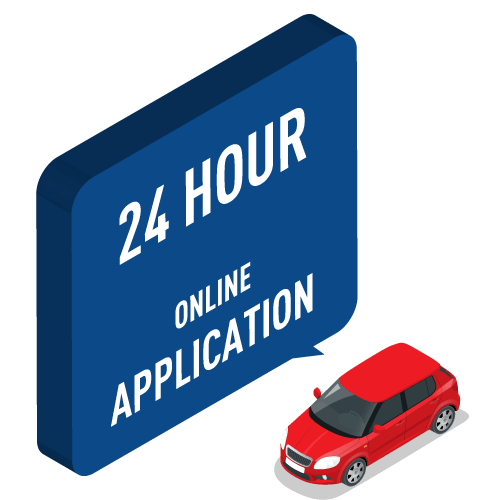 We offer a simple application process that you can complete online in minutes, and the only time you’ll need to speak to a representative is when you meet with one of our agents to sign the documentation, hand over your logbook and let them take a quick look at your car. Of course we’re always on the other end of the phone if you want to speak to a friendly advisor - just call us on 0333 577 1990 - or you can use our online chat function. We have over 600 agents covering the whole of England, Scotland, Wales and Northern Ireland, who will meet with you at a location of your choice for complete convenience – or if you’re near to one of our local branches in London and the South East, you can complete your logbook loan in-store if you prefer! As an ethical and regulated lender, we take our responsibility to ensure you only borrow what you can afford to pay back very seriously. Our completely secure electronic system gives you the option to use your online banking details to deliver your statements directly to us – nobody can see your private information and you’ll get your logbook loan decision within 30 minutes. This is the fastest way to complete your online logbook loan application, but if this isn’t possible, we can also accept screenshots of your statements instead. Exceptional customer service and fair lending are our top priorities at all times, so our unique rate structure adjusts according to the amount you borrow in comparison to your car’s value – so the less of the value you borrow, the lower your repayment rate will be. Once you agree to the terms offered, we’ll transfer your money into your account in a matter of hours. As soon as you’ve finished making your repayments, we’ll give you your V5 logbook straight back to you. Whatever your reason for needing to borrow, V5 loans are a way to utilise an asset as security, while still getting to use it... but please remember that you could lose your vehicle if you fail to meet the agreed terms.